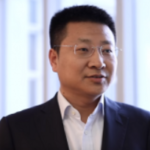 WRI Ross Center sat down with Mobike CEO Davis Wang at Transforming Transportation 2018 to talk about Mobike’s explosive global growth, next steps for more integrated urban mobility, and the company’s place in the crowded and growing global transport sector. What are the main mobility challenges that Mobike is trying to address? Davis Wang: Twenty years ago, China was called “the kingdom of bicycles.” There were roughly half a billion bicycles on the roads. Since then, we successfully trained 300 million people to drive a car, but the problem is that there is not enough space. Three years ago, we started Mobike because we wanted to do something good for cities and for transportation. Our mission was to persuade people to use bicycles again after 20 years of declining popularity. We thought shared bicycles could be the solution to the problem. One bicycle can be used by many people, and with the help of technology, we are trying to persuade people to use shared bikes. We put our first bike on the streets in September 2015. We went from 1 bike to 8 million bikes, from one city – Shanghai – to over 200 cities in 15 different countries. We have a strong belief that, by scaling up intelligent dockless bikeshare we can make cities a better place to live. Do you see any similarities or differences in terms of challenges and solutions in other countries you have expanded to? Wang: Traffic jams and air pollution are among the many challenges of urban mobility shared by modern cities both in and outside China, which is the reason why we wanted to expand globally. The differences we see are in user behaviors and local policies. The industry developed rapidly in China before any policies existed, leading to oversupply in some Chinese cities – that’s why we saw those piles of bikes that made headlines. And from these mistakes we have learned to work with policymakers. In every new city, we work closely with the local governments on a customized rollout plan, providing an outstanding experience that benefits both our riders and the municipality itself. 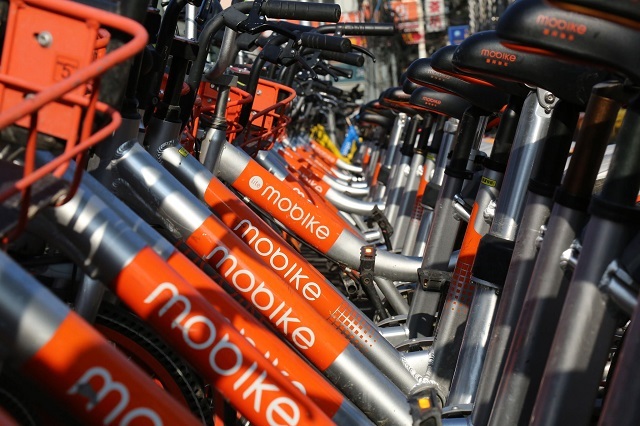 Why has Mobike been so successful in shifting user behavior and grown so quickly? Wang: Bike sharing is not a new thing. Station-based bike sharing has been around since the 1960s. What allowed Mobike to expand so quickly was the convenience. It’s a lot like landline phone booths: they were convenient, but not that convenient. Mobike is like the advent of mobile phones: when you need to make a call you just do it from anywhere you are without having to go to a phone booth. The price we are offering is also super affordable, both in China and abroad. When you are deciding whether to buy a bike or not – to spend $300+ or not, plus the cost of regular maintenance – you also have to think about where to park it, where to store it in your home, and you have to worry about possible theft. Mobike is more affordable and more convenient. I think this is how we managed to persuade more than 200 million people to use Mobike in just over two years. What important considerations do policymakers need to consider in designing cities for people, not cars? Wang: The transportation industry is generally quite traditional. Taxis have been around for 100 years, but what happened in the last couple of years has brought disruption to the industry. Think about how Uber is trying to change taxis with technology and data. Before, you wouldn’t have ever known the performance of a driver. Now, everything can be quantified. The impact Mobike has had on traditional bike sharing is similar. We are generating a lot of data – almost 30 terabytes a day. We can share that data with city governments and policymakers to contribute to the optimization of transport planning. Thirty years ago, every city in China had bike lanes, but after the mass deployment of cars, they were swallowed up. Right now, mayors are trying to rebuild bike lanes, but on which roads? Mobike provides over 30 million rides each day, and from the data we can learn which roads are being used the most, speed of travel, etc. We can share all this data with policymakers and help them make better decisions about cycling infrastructure and traffic management. When we advise cities on bike sharing, the biggest concerns are often about financial sustainability. Do you have any advice on how to develop successful business models that integrate with city government objectives? Wang: One key benefit for cities is that our model requires no public funding. When we bring Mobike to a new city, we develop a very detailed launch plan that includes budgets and a payback period. We share this plan with policymakers so they can see our finances are solid. We can improve systemic efficiency, thanks to technology and the design of the bikes. Let’s compare two cities: in New York, they have 7,000 bikes but 120 employees, so every person is responsible for 50 bikes. In Shanghai, one Mobike employee oversees 3,000 bikes. We also designed the wheels of our bikes with 5 spokes, not the typical 32, which are more fragile. We deployed more than 2 million five-spoke bikes, and less than 10 wheels have broken in the past year. With these specially designed bikes, we can significantly decrease management costs. We are not like Gucci; we are like Walmart. We try to keep a super low profit margin so more people can use our product. Bicycles are just the beginning for us. We see potential to use our expertise in applied mobile networks to connect buses, electric vehicles, rental cars and more to build high-efficiency, technology-driven public transportation. To fulfill this goal, we are developing a pilot program in a Chinese city where everything is connected and we can work together on how to optimize public transportation, where the government can even purchase services from us, and we provide access to data for planning. Mobike recently endorsed the Shared Mobility Principles. Can you tell us why Mobike signed on? Wang: There are opportunists in the industry that are trying to make quick money and don’t care about sustainability – they don’t have any social responsibility. The difference between Mobike and other companies is that we realized that Mobike belongs, to some extent, to the public transportation sphere. Once you belong to that sphere you have to uphold your responsibilities. That’s why we were happy to join this initiative, together with other companies in the field, to contribute to, and to achieve, sustainability in public transportation.